Hey! Did any of you go to the Electric Daisy Carnival the other night? It was at Las Vegas Motor Speedway, if that helps? Did you go with a car, but come back without one? 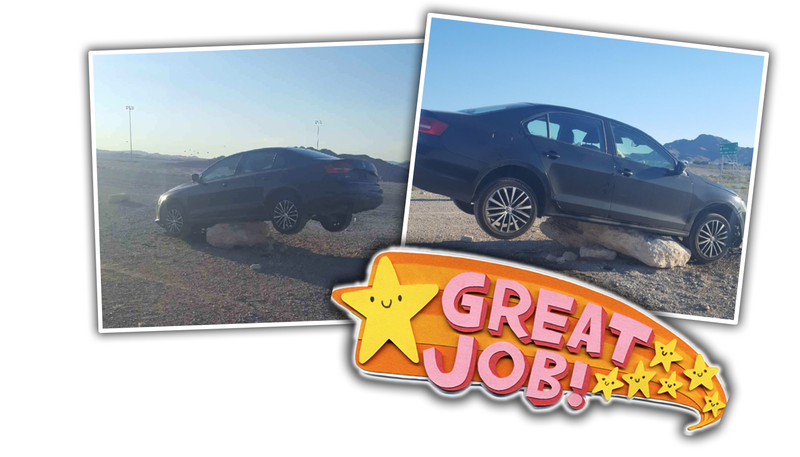 Did you maybe, somehow, manage to park your car on a rock? 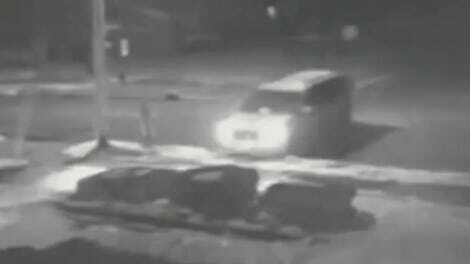 If so, the Nevada Highway Patrol wants to help. The car looks like a 2015 Volkswagen Jetta, and I have to admit, I’m a little impressed with how effectively this thing is stuck. Like, this seems that it took some real effort. The back end is a good couple feet off the ground, and that nice, oblong slab of rock seems to be really wedged up under there. That’s some mighty fine rockjamming, right there. I guess the driver must have not seen the rock, and drove over it with enough speed to get the front wheels over it before the rock high-bottomed the car there? Amazing. Whoever’s car this is should probably get a Jeep anyway. Why Are Saudis Stoning Their Cars?